In her latest book, Three Lithuanian Europes: the Nation, Europe, and the EU in Modern Identity, philosopher Nerija Putinaitė's quest to flag the wellsprings of Lithuanians' European identity guides readers from the real demise of an imaginary pre-historic golden age, to a barbarian king's Latin baptism and festive 500th anniversary celebrations of Vytautas, Duke of the Grand Duchy of Lithuania. These events, Putinaitė contends, symbolize a tangle of Lithuanian-European identity models that explains Lithuania's relationship with the European Union, recent foreign-land-ownership referendums, the nation's empathetic unity with Ukraine, and an increasingly conservative guardianship of the Lithuanian language. Putinaitė presented her book, published in 2014, alongside former European Parliament member Radvilė Morkūnaitė-Mikulėnienė, historian Alfredas Bumblauskas, and political scientist Ramūnas Vilpišauskas at the 16th International Vilnius Book Fair in a live LRT broadcast moderated by cultural historian Nerijus Šepetys on Sunday, 22 February. The panel discussed Putinaitė's proposed mythology of identities forged through three distinct conceptions of Europe in the popular Lithuanian imagination: a Europe that threatens cultural purity, a Europe of superior progress, and a Europe that Lithuania bridges to an equally influential East. It is this vision of Lithuania as a link between east and west that former European Union Parliamentarian Morkūnaitė-Mikulėnienė found most compelling. "Today this Lithuanian-European identity is extremely important considering our situation with Russia. We always wanted to help countries that wanted out from Russian oppression: Ukraine, Moldova, Georgia. We have always wanted to lend a hand. We are poised as main actors in bringing these countries together - to helping bring together western Europe and those countries that are still torn apart in a way. This identity is very strong today due to the political situation," Morkūnaitė-Mikulėnienė tells the Lithuania Tribune after the broadcast. Putinaitė was not available for an interview following the LRT broadcast. She appeared surprised and humbly delighted to greet a short line of readers who emerged from the audience requesting her signature and clasping copies of her book. A review of Putinaitė's December 2014 interview with the Lithuania Tribune is below. Vilnius University's Institute of International Relations and Political Science building on Vokiečių gatvė is clearly familiar territory for Associate Professor of Philosophy Nerija Putinaitė. Corridors illuminate as she easily finds a haphazard path of light switches and leads the way to an empty classroom reserved for our discussion of her new book, Three Lithuanian Europes: the Nation, Europe, and the EU in Modern Identity. Born in 1971 in Tauragė, a small city in western Lithuania just a thirty-minute drive to the border of the Russian exclave province of Kaliningrad, Putinaitė's is among the last generation of youth educated under Soviet rule. Much of her tertiary education coincided with and followed Lithuania's struggle to re-establish independence. Subsequently, university students, classrooms, and libraries were no longer officially subject to Soviet ideologies and restrictions. Putinaitė has shaped this new education arena. In addition to teaching at Vilnius University and the Lithuanian University of Educational Sciences, she has served as Presidential Education Advisor and held the post of Vice Minister of Lithuania's Ministry of Science and Education. In these roles, Putinaitė's enthusiasm for reform drew attention. As an author, she raised eyebrows with her interpretations of national heroes including Jonas Basanavičius in her 2004 exploration of Lithuanian identity, The Exiles from the Athens of the North. In the empty classroom Putinaitė takes off her coat but doesn't bother to remove her woven scarf before launching into a lecture for one on the sources of Lithuanian's conceptions of and identifications with Europe. Seated with her knees together and hands palm down on the edge of the student desk between us, she leans forward with an almost dutiful urgency to carefully and clearly convey as much as she can in the scheduled hour allotted. 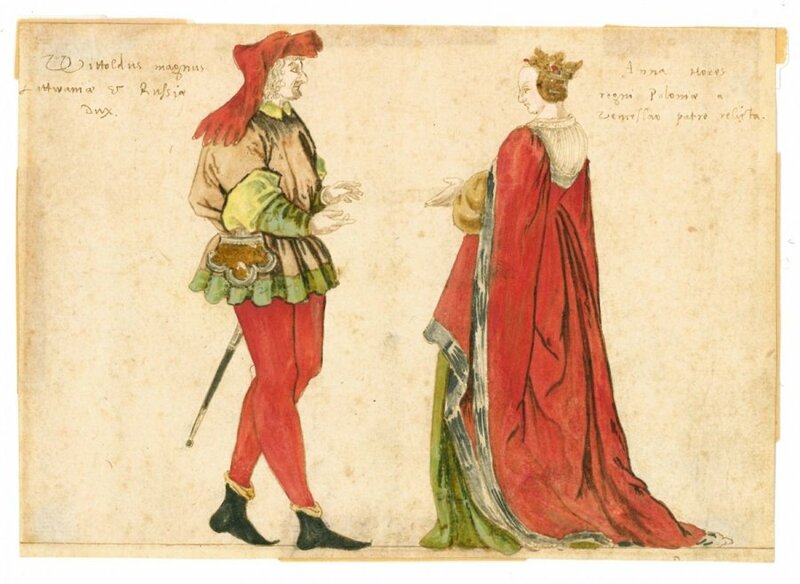 A European-Lithuanian identity, she begins, with minimal preamble, rests on "an ethnic national idea based on Lithuania before Christianity formed at the end of the 19th century. A prehistoric, pagan golden era is one of the national revival ideas that became the basis for our independent state, at the beginning of the 20th century." "The coming of Christianity is seen as a kind of collapse of this golden age, of ancient pagan times. Europeanness is associated with the arrival of an aggressive Christian and non-Lithuanian culture. Europeanness, in this identity model, is associated with a kind of culture that is not our own, an oppression put upon Lithuanian identity." Putinaitė quickly draws a parallel between this conception of Lithuania's forced conversion to the European fold and its 2004 inclusion in the European Union. "Accepting European Christianity was understood as a necessity to survive, not as an integral acceptance. When we were discussing the European Union in 2003 and 2004, people also stressed that perhaps entering the EU was a necessity to survive, that it was a kind of evil necessity to enter into some confederation," says Putinaitė with a sociological detachment despite her use of the inclusive we. "In 2003 and 2004, Lithuanians stressed that the European Union should protect culture. In this identity model, the political dimension is not so important; politics should be a servant to cultural things, to preserving authenticity and this Lithuanian identity." The imprint of this national tale of a golden era washed away by European baptism was also evident in 2014 debates regarding the sale of Lithuanian land to non-Lithuanian EU citizens and other foreigners, says Putinaitė. In joining the European Union, Lithuania agreed to comply with EU regulations on the free flow of capital by lifting a ban on the sale of land to foreigners. After an extended seven-year transition period ended in 2014, opponents to the EU agreement held a referendum on maintaining the ban on land sales. The referendum, says Putinaitė, points to a rooted fear of identity loss. "The people who were the initiators of this referendum, they always stressed that land was something sacred and that if you let foreigners own this sacred thing you could lose your identity." Putinaitė fiddles with her aperture to connect the myth of a once pure Lithuanian culture, untethered from and unspoiled by Europe, to Lithuanian identity expressions under Soviet rule, "Soviet nationality politics helped develop this folk idea. It was modified to be the only national idea accepted during Soviet times." As she describes the Soviet advantage of celebrating a narrow set of distinct national identity attributes, I can't help myself from imagining a Soviet sanctioned stage hosting traditionally costumed folk dancers and singing girls with ribboned plaits chastely celebrating a romanticized folk nationality that is simply too innocent to bare teeth against Soviet narratives. "This folk idea was very useful to our local Soviet authorities. [First Secretary of the Lithuanian Communist Party Antanas] Sniečkus used national attributes and festivals to develop loyalty and to build connections with the community." The book review moves into her second identity model despite a persistent opening and closing of the classroom door as students halt their shuffle into the room and quickly retreat. "The second idea is the idea of Lithuania between East and West. 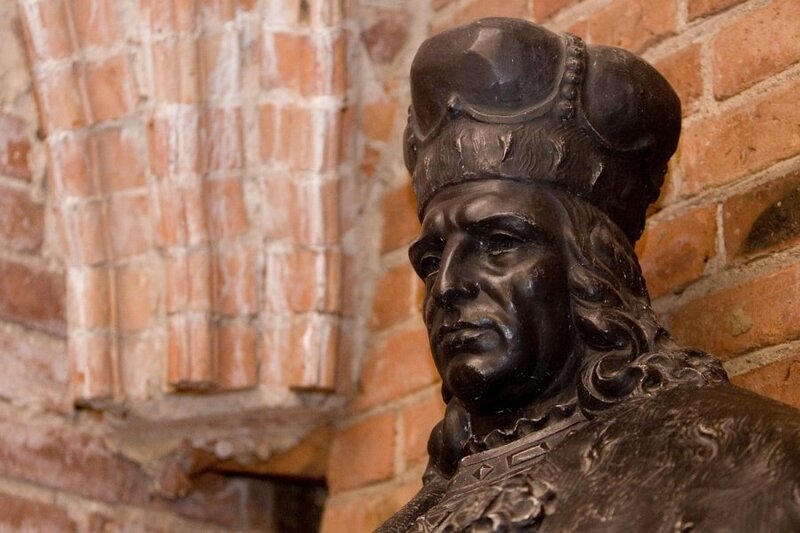 The biggest development of this idea was in 1930 when there was a celebration of the 500th anniversary of Vytautas, the Grand Duke of Lithuania. He was a very interesting symbol created during this time." "Vytautas was shown as a very strong personality who could conquer or silence the East without endangering Lithuania's eastern borders." Putinaitė occasionally slips and uses a German adjective, evidence of her own links to and education in the West at Phillips University of Marburg, Greifswald Ernst-Moritz-Arndt University, and the University of Tübingen in Germany. Some of these stray words cause her to retreat for a quick English substitution, others pass by unnoticed as she continues, "Vytautas communicated with leaders of western communities as an equal." "The identity symbols around him created this idea of a nation in a territory between the East and the West in very complicated conditions. There is always a question of the sovereignty of the Lithuanian state and a necessity to be a kind of double face: to look at the West and be very active in the West but also to look to the East and find a common language in the eastern countries." It has become clear that the classroom we are occupying has been double booked. Putinaitė elaborates on Vytautas' modern legacy as we gather our things, "This national idea was revived after our entrance into the European Union. People started to say Lithuania could be a bridge to NATO or the European Union for Eastern European countries." "There was the very active political participation of President [Valdas] Adamkus in Georgia. Now there is this kind of feeling of solidarity over what is going on in Ukraine. Also, there was this question during our Presidency of the European Union of the Ukrainian Association Agreement." 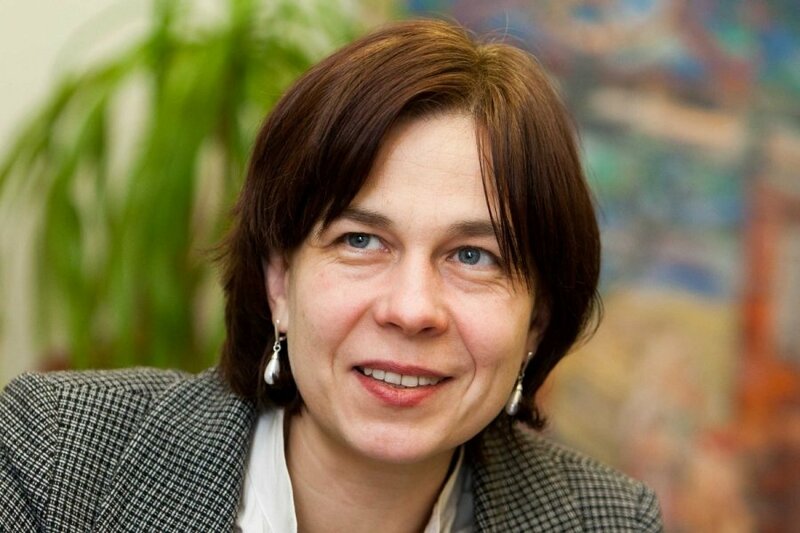 The 1930s festivals celebrating Vytautas and the appeal of the Grand Duchy buffering both eastern and western borders "shows in our politics and our political rhetoric to make Europe and the European Union bigger," says Putinaitė. Putinaitė argues that the symbols surrounding Vytautas encourage Lithuanians to lead their neighbors in forging a unique regional European identity. "We are Europeans, but our Europeanness is quite different in comparison with western Europeans. We have some common traditions with our [eastern] neighboring countries. We should develop another European identity. This national idea is showing its power now - and not only among the elite. We see how people reacted to the events in Ukraine. They were very actively involved." I follow her into the hallway where, surprisingly, the crowd of students waylaid from entering their classroom doesn't look annoyed. Rather, as Putinaitė passes in her muted coat, practical slacks, and sensible shoes, the students part with curious recognition. On our brisk walk through the building's courtyard to an anterior warren of offices, Putinaitė poses friendly questions about my own background and probes for an ethnic genealogy that my nationality alone masks. I struggle, as I answer her questions about my own family tree, to determine when and how the three generations preceding me became American. As we settle into an empty office I ask: "I realize you're interested in Lithuanian-European identities, but what makes someone Lithuanian?" She answers my question with certainty, "Language." "People who speak Lithuanian fluently, without an accent, are Lithuanian. It doesn't matter if their parents are foreigners or if they are colored, or anything. Language is the most important thing. You cannot speak Lithuanian if you aren't raised in the Lithuanian culture." Language, like land, has also been subject to staunch protection from foreign invaders. In November 2014, Lithuanian lawmakers debated proposals to translate foreign companies' names into Lithuanian. Throughout 2014, ethnic minority leaders and language watchdogs sparred over whether non-Lithuanian name spellings should be permissible on passports and other official documents. "I think this language idea is very important to ethnic identity. Discussions around language issues show how strong this ethnic identity in Lithuania is," says Putinaitė. "You can say we are getting more and more free or open, but when it comes to language issues, people start to act in a very conservative way." Putinaitė pauses before adding, "The Lithuanian language - it has never been as pure as it is now. Some linguists say it is already too pure and that it will not be possible to communicate simple things if it continues in this direction. The control of the language commission is not only of official language but of the language of society." "This madness about language in Lithuania, I thought ten years ago that it would go away. At the beginning of this independence there was this feeling of not being very safe, that somebody could come and take our identity away. But this was because of Soviet politics directed against the use of Lithuanian in official circles." "I think that many people thought it would go away somehow, it would be a disease that would be cured," laughs Putinaitė before continuing in a more serious tone. "Somehow, these language issues are getting more and more to the core of identity." Putinaitė is unapologetic in confessing that the issue has managed to evade her prophecies. "I cannot give an explanation for what is going on with language. In ten years, we can explain how the language issue became more important and more conservative. It is contrary to what I personally expected some fifteen years ago," she admits with a shrug before delving into her book's third and final assertion that Lithuania has enrolled itself in a Sisyphean struggle to achieve an ever superior European progress. "The third identity model is based on the idea of Lithuania constantly approaching Europe. In this model, Europe is seen as the centre of civilization and Lithuania as a colony of this civilization. There is an idea that we are always somehow behind, that our processes are always too late, that we are always in the process of approaching Europe." Putinaitė describes a small, underdeveloped Lithuania eagerly panting at the heels of a far more advanced Western Europe. 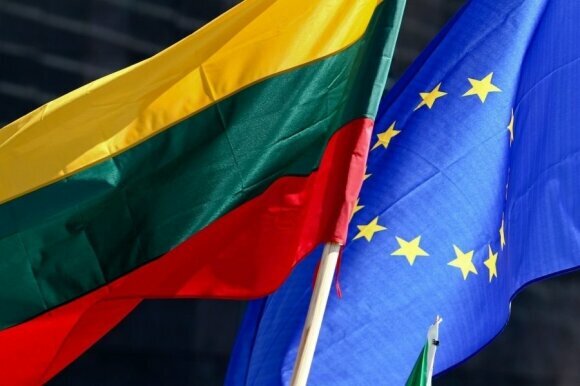 In this third Lithuanian-European identity model, Europe is the superior master of functional state structures, bungle-free bureaucracies, and transparent processes; Lithuania is Europe's eager apprentice professing a sincere desire to learn. The concept was easily adopted when the country emerged from Soviet stagnation, but Putinaitė says this sense of national inferiority plagued historical and political self-assessments long before the Molotov-Ribbentrop pact sealed the country off from its Western muse. 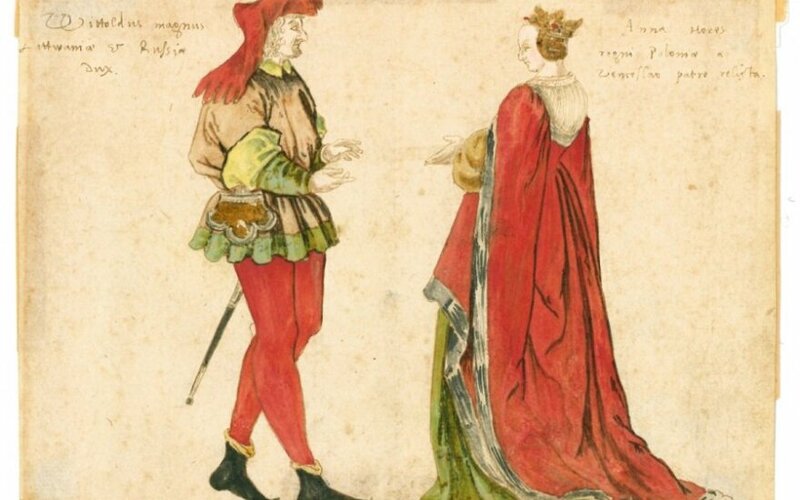 Putinaitė traces this game of catch-up to the year 1250. "It is associated with the symbolism surrounding our only king, Mindaugas. He was the first to step towards Europe. He chose Latin baptism, not orthodox baptism. He is not shown or understood as a European king, but as a barbarian who saw the attractiveness of the European civilization idea." "When we read historical texts there are politicians speaking about the necessity to be better, to be like other countries. It is as if Lithuanians are always someplace that is worse. In the beginning, it was a purely historiographic idea developed by [historian Laurynas] Ivinskis. Later, between the wars there was an idea about progress in President [Antanas] Smetona's speeches. We keep finding this idea that we should progress and that Europe is the orientation for Lithuania." Putinaitė cannot progress with the march of her ideas regarding Lithuania's persistent pursuit of the European model. Like her diagnosis of the country, Putinaitė is hastening to her next objective. The interview has been a warm up. She stands and finds her sleeves as she swings her coat across her shoulders and, almost tardy, hurries to a 5pm book presentation.